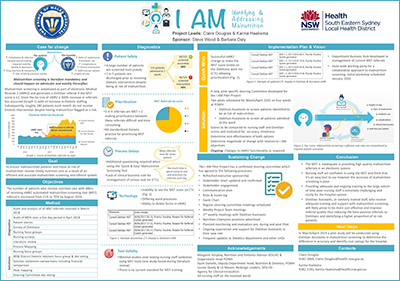 The I AM Project aims to implement a more sustainable and accurate screening process at Prince of Wales Hospital for patients who are malnourished, or at risk of malnutrition. 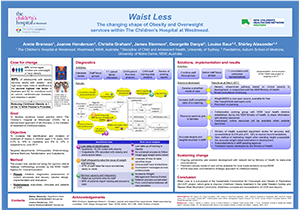 This project reimagined the way hospital food is delivered to patients in public hospitals, using new workflow processes, menus, staff training and technology, while remaining inside the current budget footprint. The Elouera Unit promoted healthy weight through education and review of the meal provision program, in collaboration with patients.